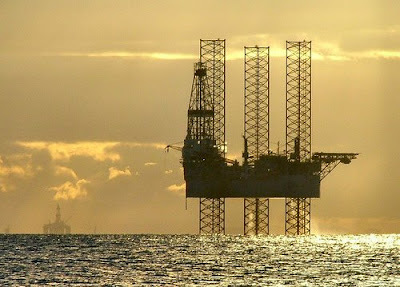 Home » Economics » Investing » Is There an Oil Price Bubble Evolving? With oil prices easily crossing $130 a barrel and with no end in sight the fears, or hopes, of an oil price and commodity price bubbles are gathering a crowd. The case for the existence of an oil price bubbles and the case against the possibility of such a bubble are both convincing and interesting to observe. For the sport of it I’ll wager that the chances of a bubble evolving in oil and commodity prices is much bigger than the possibility of these price levels holding on for the long term. I base my intuition on my firm belief in the rational of market irrationality. Oil prices have a history of price speculations with little regards to the fundamentals. The nature of the oil market is responsible. Lately, more and more signs have started to show that a bubble might have evolved in oil prices. The US stock of crude oil has risen 12% from the beginning of 2008 to 326 million barrels. This rise in stock is accompanied by a decline in demand in the US as a result of increasing gas prices. All around the world the sub-prime and credit crisis have caused a significant slowdown in economic activity resulting in reduced growth and reduced consumption. All of these trends point to lower demand levels that should lead to lower prices. We’ve all witnessed how capital investments seem to eventually take a life of their own raising prices simply because they keep flowing in one direction. Many speculative investments are racking in enormous profits and it could be just a matter of time before everything comes crashing down (yet again). The most common argument is that such warnings have been made for almost 4 years now. Eventually they will be right and oil prices will collapse, the question remains – when? Another argument, made by NY Times Paul Krugman in “The Oil Nonbubble” is that “inventories have remained at more or less normal levels. This tells us that the rise in oil prices isn’t the result of runaway speculation; it’s the result of fundamental factors, mainly the growing difficulty of finding oil and the rapid growth of emerging economies like China. The rise in oil prices these past few years had to happen to keep demand growth from exceeding supply growth”. Bubble or no bubble, the increase in oil prices has some very good side-effects in my opinion (as I’ve written in a previous post last week). I personally believe that every time financial assets’ prices are discussed in such enthusiasm something is bound to happen. John D. Rockefeller’s is often quoted for saying every time a shoe-shine boy hands out stock tips it’s time to exit the market. Index funds and ETF’s have provided household investors the tools to invest in complicated financial assets such as commodity futures. With capital pouring into these investment vehicles by aspiring household I think it’s time to contemplate an exit.